Are you still wearing the wristband you customized years ago to serve a purpose? It must be a dirty bracelet now whose color has faded and which started to stink. 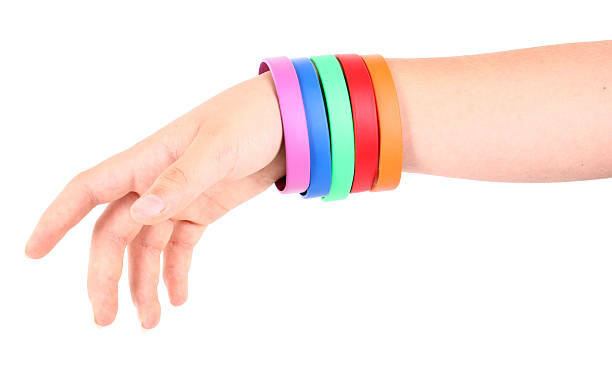 Probably, the time has come to design a personalized rubber bracelet and get rid of the old one. For avid book readers, an old silicone bracelet can be an ideal bookmark option. To make the wristband work wonderfully, cut and utilize it as an excellent bookmark. Make sure you clean it carefully before using it for the bookmarking purpose. If you don’t want your favorite bracelet to go out of your sight, use it as a keychain. It’s a durable, flexible, and compact accessory that will hold the keys in an effective way. The old wristband as a keychain will not just help you in keeping all your important keys together but also remind you of memories linked to it. If you are tired of seeing the bundles of cables at your place, reuse your colorful bracelet to get rid of them. You can tie your cables and unite them to reduce the clutter at your place. So you have some amazing memories connected with your old wristband and don’t want to erase them! Sewing it on a piece of cloth can be an ideal trick to preserve it. The bracelet will stay there forever and you won’t lose it. Your old wristband can be your true kitchen helper. It can help you to open jars and bottles that are a daunting task to open usually.